and is closed to new members until further notice. Schedule Changes - No Badminton April 30, May 2, 21, 23 - Click here or Events tab for Updated 2018 -2019 schedule. No badminton April 30, May 2, 21, 23. Last day of spring badminton is June 13. Watch your email for last minute schedule changes. 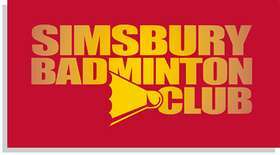 Also, remember that there will be no badminton on days when Simsbury schools are closed for weather or holidays. SBC now has a stringing machine available for members use. To get the stringing machine you must leave a check for $400 which will be returned on the return of the machine. We also have packets of Yonex BG-65 string available at a cost of $5. For those interested in lessons, click links for contact information.